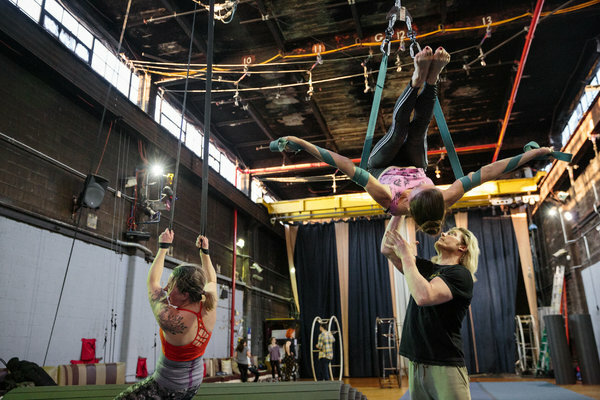 On a recent Friday night inside The Muse Brooklyn, a circus-arts studio housed in a mammoth warehouse in Bushwick, aspiring acrobats twirled from straps suspended from the 30-foot ceiling. Nearby, two young women were learning flips on a large hoop, called a German wheel, while instructors urged them on. “You got this!” Emily Lawson, a lawyer by day, reassured one of the students preparing to try a backward flip. 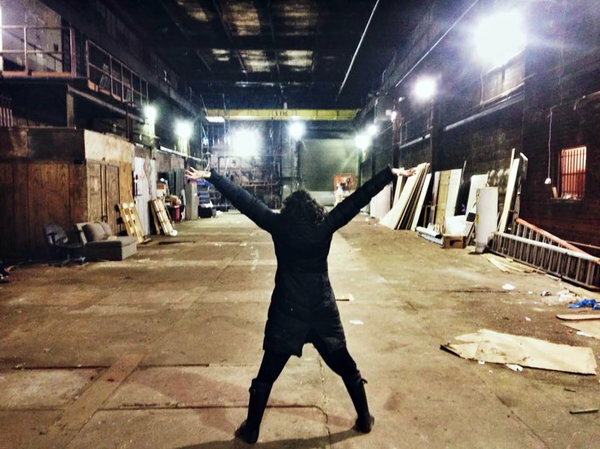 The Muse Brooklyn moved into its home on Moffat Street in 2015, converting a former stone foundry into a colorful circus-arts studio and event space. A team led by the space’s owner, Angela Buccinni Butch, installed wood floors, brought in aerial rigs, circus equipment, spotlights, put down AstroTurf and added eclectic decorations to the expansive backyard. The Muse Brooklyn, a circus-arts studio in Bushwick, began a decade ago out of a backyard in East New York. The studio offers classes seven days a week and hosts school groups, weddings, theater shows and other special events. But despite the buzz of activity, Ms. Buccinni Butch, 35, is managing a high-wire act to stay in business. She started The Muse Brooklyn a decade ago in her backyard in East New York. Then she moved it to Williamsburg — but was forced out when the building became the headquarters for the media company Vice. The Moffat Street building has its own challenges; since the building falls under the city’s loft law, the regulations are complicated. 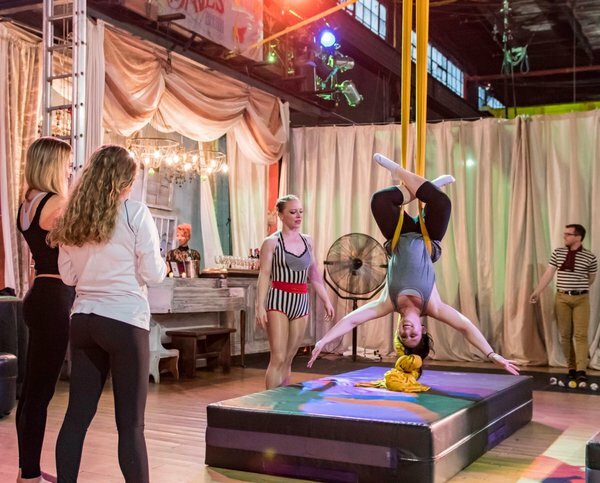 After problems with permits last summer, The Muse Brooklyn canceled every event it had booked at the space even though the revenue generated helps finance the circus classes and community programming. Ms. Buccinni Butch was ready to declare bankruptcy and close. The Muse was built inside a former stone foundry. But the community rallied, and after a big push from supporters who wrote letters to city officials, Ms. Buccinni Butch and her landlord reached an agreement allowing The Muse Brooklyn to stay in the building for three more years. “It’s been a true community effort, and that’s the only reason why we didn’t close,” she said. The Muse Brooklyn has its own in-house circus troupe, ABCirque, which performs at concerts, marketing events and showcases. Alisa Mae, a 30-year-old member of the troupe, teaches and performs around New York, at venues like the House of Yes and the Slipper Room. She’s also worked on cruise ships and at venues overseas. But after all that traveling, she was drawn back to her “circus home” at The Muse Brooklyn. “It’s just an incredibly warm and supportive environment,” she said. Ms. Lawson, 41, said she discovered The Muse Brooklyn about a year and a half ago, while recovering from an injury she suffered during a trapeze class elsewhere. She did not know anything about the German wheel, which consists of two conjoined metal hoops outfitted with handles and bars. Acrobats strap in their feet and grab onto the bars with their hands, and learn how to use core strength and momentum to propel themselves. Ms. Lawson found that she loved the “super novel” workout and got so good at it that she assists the main instructor, Chris Delgado, during classes. The studio teaches classes that use a German wheel, which consists of two conjoined metal hoops outfitted with handles and bars. 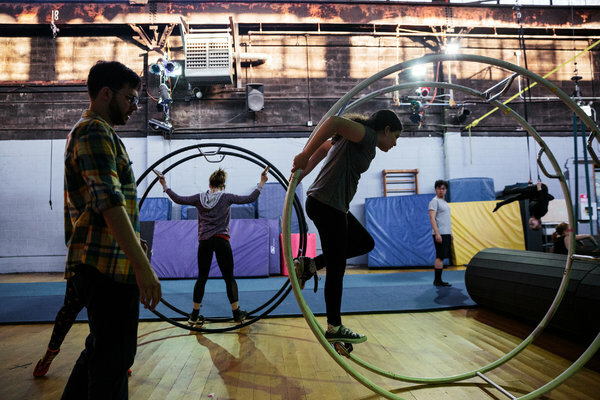 Casey Bauer, a 28-year-old drummer who oversees marketing for The Muse Brooklyn, said the space prides itself on remaining affordable and accessible, noting that circus classes can be expensive and a bit intimidating.